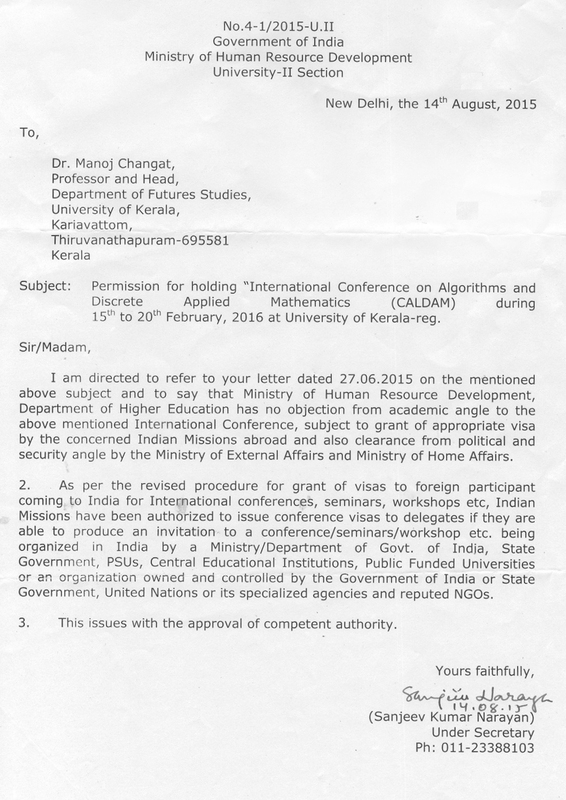 The school is being organized for PhD students and teachers in computer science and discrete mathematics during February 15-16, 2016 at University of Kerala, Thiruvanthapuram. This school is organized jointly by University of Kerala, TIFR Mumbai and Hungarian Academy of Sciences, Budapest. The school is aimed at fulfilling two purposes: (i) as a pre-conference school for CALDAM 2016, (ii) as an Indo-Hungarian School on Discrete Mathematics. Contact Professor Subir Ghosh (Email: ghosh at tifr dot res dot in).